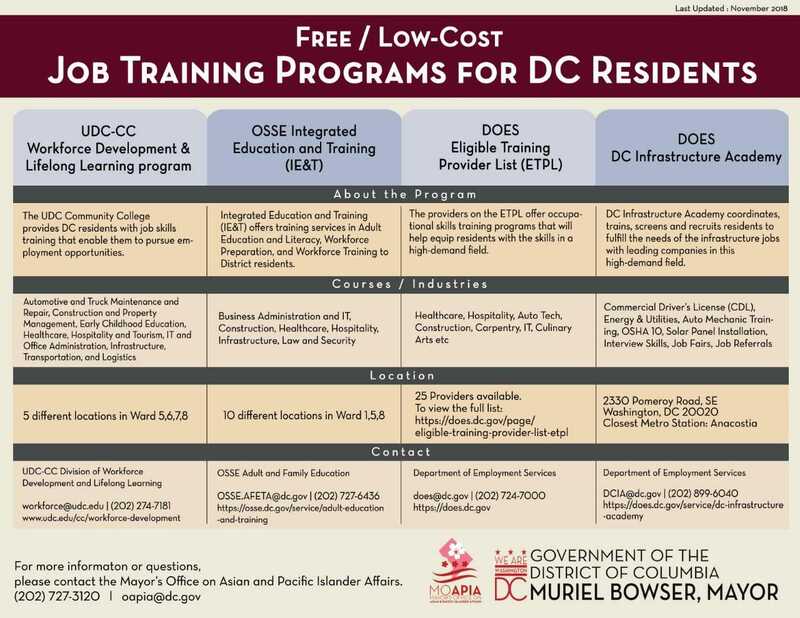 The Mayor's Office on Asian and Pacific Islander Affairs (MOAPIA) is committed to providing access to employment opportunities for the Asian and Pacific Islander community by connecting residents with DC agencies who specialized in employment assistance. MOAPIA also assists with and participates in events organized by other District agencies as they relate employment. For more information, please contact (202) 727-3120 or email [email protected].